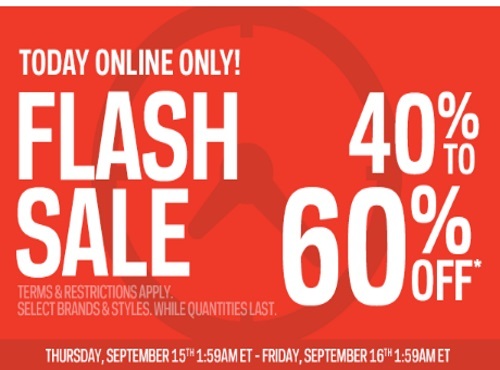 Sportchek has a Flash Sale on now! Save 40-60% off select items on brands an styles! Also Free Shipping applies on all orders! Offer is valid until Friday, September 16 at 1:59am ET.